More than enough to surpass the Ferrari 812 Superfast. 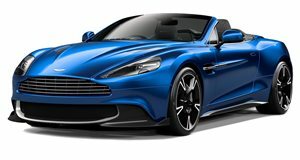 The Aston Martin Vanquish coupe and Vanquish Volante are living on borrowed time. That’s not necessarily a bad thing. Quite the opposite in fact. We’ve long known Aston Martin has been busy developing a pair of replacements that will revive the DBS and Superleggera nameplates. While we’ve decked in camouflage, today marks the first time the convertible version has made an appearance. Not surprisingly, it’s at the Nurburgring and our spy photographers were there to catch it in action. 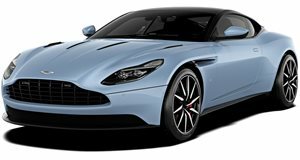 Slotted above both the Vantage and DB11 in the UK automaker’s lineup, the new DBS will, at least until the mid-engined supercar arrives, serve as the brand’s flagship. Therefore, a V12 engine is required. Power will most likely come from a hopped up version of the DB11’s twin-turbo 5.2-liter V12, where it produces a healthy 630 hp (), and is paired to an eight-speed automatic transmission. Expect the DBS, which will be targeting the likes of the Ferrari 812 Superfast, to be even more powerful. Just how much more so is the big question. There have been rumors, of course, regarding this matter, one of which claims Aston Martin engineers have managed to extract around 820 hp. By comparison, the 812 Superfast offers up 789 hp thanks to its (naturally aspirated) V12. Aston Martin has rightly kept quiet on the details, but we should have the fully skinny sometime this fall, either at Paris or Los Angeles, when the DBS Superleggera Coupe is expected to make its first appearance. The Volante is expected to follow six to eight months later.